A quaint picture, and somewhat effective at engendering that sense of indignation that so often accompanies stories of the Irish. Such oppression and misery, this occurring in 1932. My heart has always gone out to them for their struggles and unrest, which continue—unabated in one form or another—to this very day. 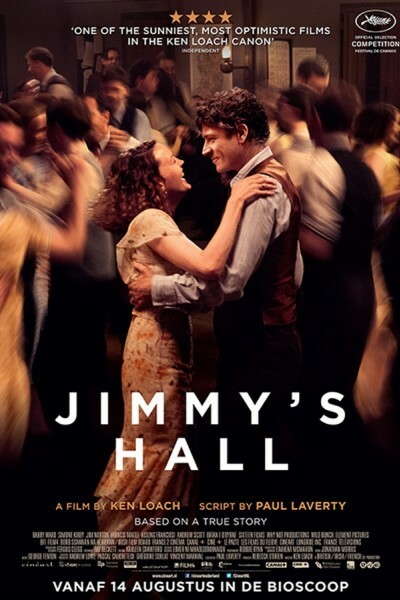 The greatest feat of Jimmy's Hall is to make one forget there is acting involved. With the exception of Jimmy's mother, Alice, the acting itself is invisible. So real, in fact, that one feels he has stumbled into the hall itself, and eavesdropped on one conversation after another, each of which seems pure, authentic, entirely unadorned and effortless. That, in and of itself, is reason enough to catch the film if you have a chance.